Bill Smith, ARRA Editor: There is another ARRA out there and it isn't supportive of limited government or free enterprise. 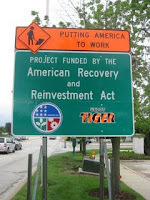 This new ARRA is the "American Recovery and Reinvestment Act" which is the official name of the stimulus package. I had an inquiry form a western state that was concerned what we meant by ARRA in our title. The ARRA News Service is an outreach project of the Arkansas Republican Assembly (ARRA) which has been around for a lot longer than this new ARRA. While we do not spend any of your hard earned money or support expanded government or funding of of projects using your money, this can not be said for the American Recovery and Investment Act which is also abbreviated ARRA. 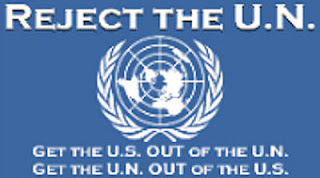 Tags: American Recovery and Reinvestment Act, Arkansas Republican Assembly, ARRA, ARRA News Service, Bill Smith, federal spending, Marathon Pundit, stimulus, US Debt To share or post to your site, click on "Post Link". Please mention / link to the ARRA News Service. Thanks!